I know after you first see the cards in this deck you may be thinking I'm crazy but just hear me out... This deck is insane (in a good way). After spending about a week crafting and play testing this deck from scratch this is what I have come up with. 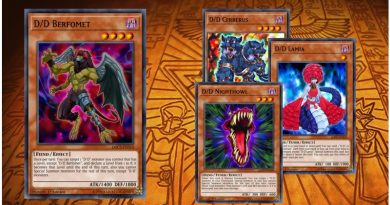 The ultimate goal of this deck is to just completely lock your opponent out of their monsters and plays. 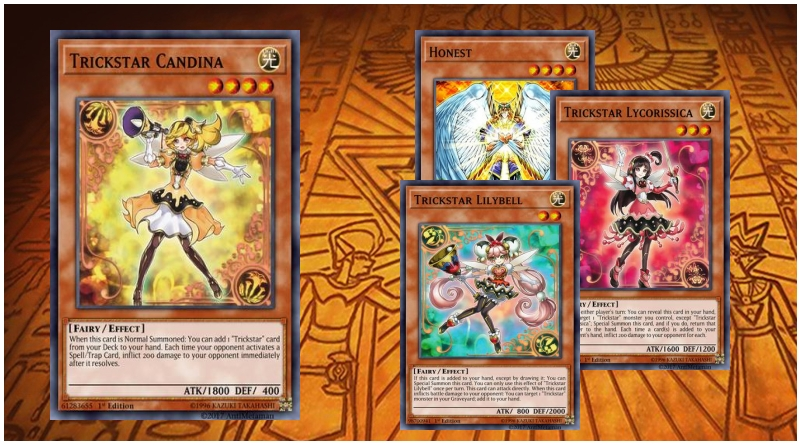 The Trickstar monsters do not care if they surrounded with floodgates because Trickstar Candina has a base attack of 1800 which is really good and will be hard for your opponent to get over. And even if they are somehow able to, that's why the deck plays Honest. I've been playing around with 2 and 3 Honest and I like 2 better than 3 because I always see it when I don't need to. Gozen Match, There Can Be Only One, and Rivalry of Warlords just completely annihilates your opponent's monster board. This deck always wants to go first because setting the floodgates on the first turn is crucial to stop your opponent from playing on their first turn. 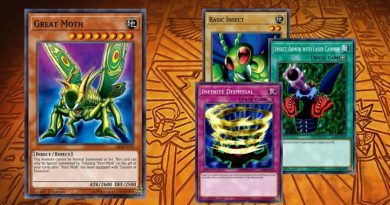 Also, since the Droll & Lock Bird Trickstar Reincarnation combo is still a thing, I have added 3 Droll and 3 Reincarnation. It works out very well and every time I've play tested I've opened with either floodgates or the Droll Reincarnation plus searching one off Candina which means double Reincarnation so you can do the combo at their first Standby Phase. A tech I really love using is Pot of Duality, all you need is the Candina search and even if you don't get it because you get ashed you can use Duality to dig and get to either a floodgate or another Reincarnation which is really helpful. Don't worry about using Trickstar Lycoris because you can use her on your opponents Draw Phase or Standby Phase. The 400 damage isn't really worth sweating over, it's better to get a floodgate or Droll Reincarnate your opponent than deal 400 to 1200 damage on your opponents first draw. Now this may sound crazy but Soul Drain and Skill Drain in this deck is crazy good. Soul Drain just completely stops your opponent from doing anything in their graveyard with monster effects. Skill Drain on the other hand, does nothing to you because if you want to normal summon Candina you just have to use a Lycoris in hand to bounce the Candina back and then you still get to search while your opponent is just sitting there suffering from the effects of Skill Drain. I also really like Book of Moon because it can stop your opponent from link summoning or summoning any kind of extra deck monster. It also allows your Candina or Lycoris to get over any monster that has a big attack. Now the thing you guys will also really like is the extra deck. 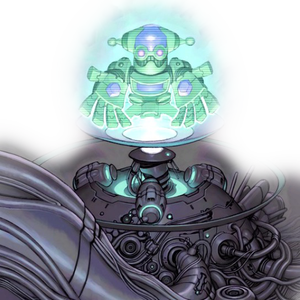 The level 3 xyz Mechquipped Angineer is such a staple for Trickstars because you can go into it with double Lycoris while your under Gozen Match, Rivalry of Warlords, or both since it is a light monster and a Fairy type! Same with Fairy Cheer Girl except she is used with double Candina or Honest since she is a rank 4! It's effect says you draw 1 card for free which is awesome. Most of the side deck is for going second which your opponent will most likely force you to do if you win game 1 since they know you are running floodgates. I'm really tired of the Danger Darkworld FTK so therefore I put in Ghost Reaper and Ghost Ogre because it is really good to kill off Firewall Dragon and prevent them from doing the FTK. 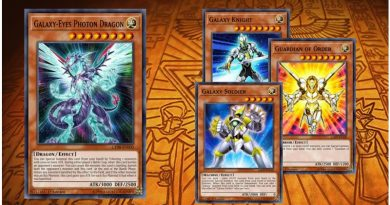 Also, I have said this before but Mind Control really hurts Sky Strikers. Taking their Kagari or Shizuku and linking it away means they don't get to use Raye's effect from grave to special summon herself. I really hope you guys enjoy this deck because I put a lot of effort into making it and play testing! Stick around for more :). 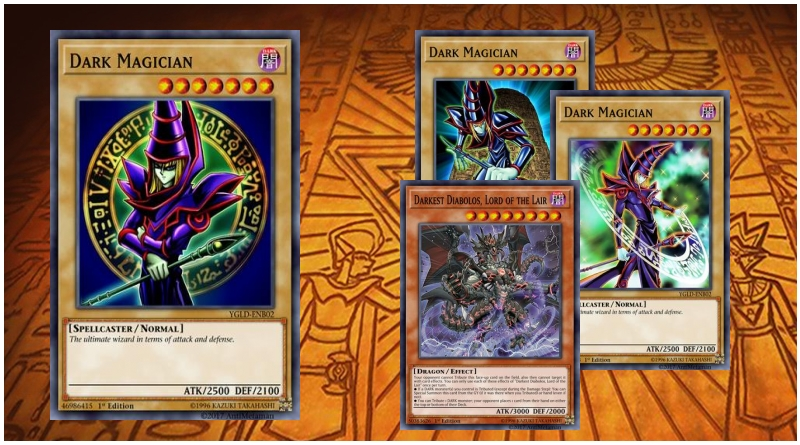 Infusion of a typical Dark Magician deck with the Lair of Darkness structure deck.